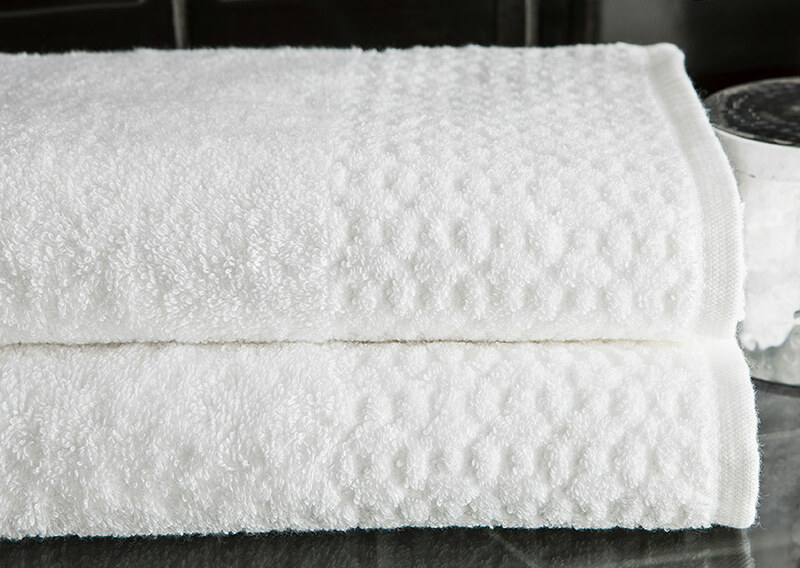 Wrap yourself in our largest, most cozy bath towel. The Sofitel bath sheet is made from 100% pure cotton that’s absorbent and soft. 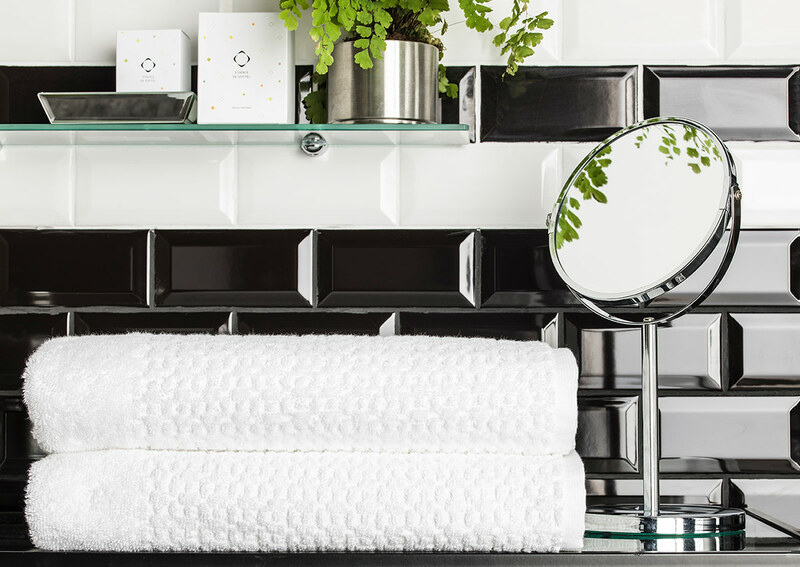 Just because it’s an everyday staple doesn’t mean it can’t delight, so we chose towels with a charming decorative border lattice pattern that adds easy elegance to your bathroom.